Artist Geta Brătescu is considered one of the most important figures in the Romanian avant-garde of the 1960s and 1970s. She studied art and literature but was forced to quit her studies. Born in 1926, she made art for years before the international art world even knew of her existence. 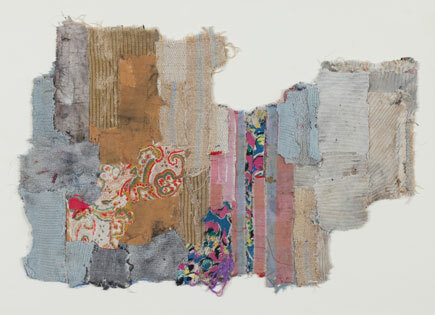 In 1989, when the communist regime ended in Romania, Geta’s work began being exhibited beyond her geograhical boundaries. 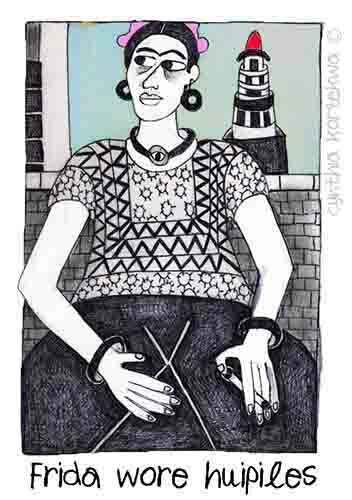 Geta, initially, focused on drawing but eventually experimented with many art forms. Those which intrigue me the most are from the ‘Vestigii’ (Vestiges) series. 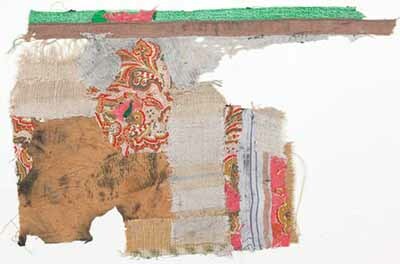 She’s taken old clothes and fabric scraps to make collages. Geta also makes sewing machine drawings. February 8th is a Japanese festival, Hari Kuyo, celebrating broken pins, needles, scissors and anything else related to the steamstress. This tradition probably springs from the Eastern system of displaying gratitude towards objects that are a source of livelihood. It also reflects the animist belief that all beings and objects have a soul. many thanks to Jo Quirk for telling me about Hari Kuyo! This entry was posted in People and tagged Geta Bratescu, Hari Kuyo. Bookmark the permalink. 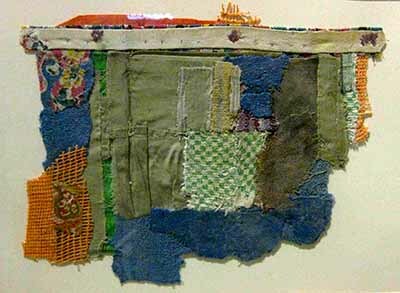 The textile pieces are amazing some look as if they are fragments of roman ruins. I just love them, thanks for sharing this wonderful work. yes, I find them very poetic scented by a nostalgia for that which has past…thanks for commenting Debbie! Thank you for your post. The collages are truly ‘poetic’. Haikus comes to mind. Thanks Sharon and I believe they really could be considered a kind of haiku! thanks for the fiber inspiration today as I am gathering to sit and sew! So glad you are going to sew–it makes the world so magical, no? Thanks for commenting! By the way, enjoyed the gesso tutorial on your blog. Ciao Jan! Glad you enjoyed Geta’s work. 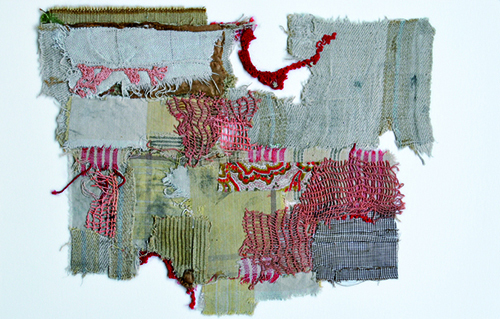 I took a look at your blog and enjoyed the weavings–they remind me of Shiela Hicks.